If style and elegance are at the top of your list, you can’t go wrong with a Setra charter bus. 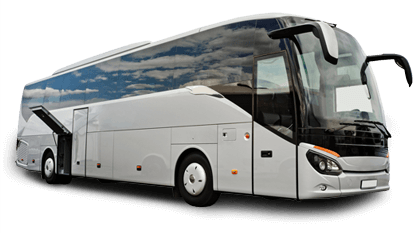 We book many 55-passenger models to customers looking for sleek long-distance bus transportation. Under the hood, these buses are built to last and provide peace-of-mind to passengers and drivers alike. We’re standing by 24/7 to help you plan transportation for major events like corporate conventions, wedding receptions, school field trips, and more. Our team is looking forward to providing you with a personalized quote today!